A three year-old-boy takes interest in martial arts, and he shares his story about what life lessons he has learned during his first Taekwon-Do lesson. This story focuses on fitness and self-defense; and the importance of respect and love to oneself, his parents and friends. This incredible story is about a brave, intelligent and athletic three-year-old boy; who like many others enjoy learning and trying new things. 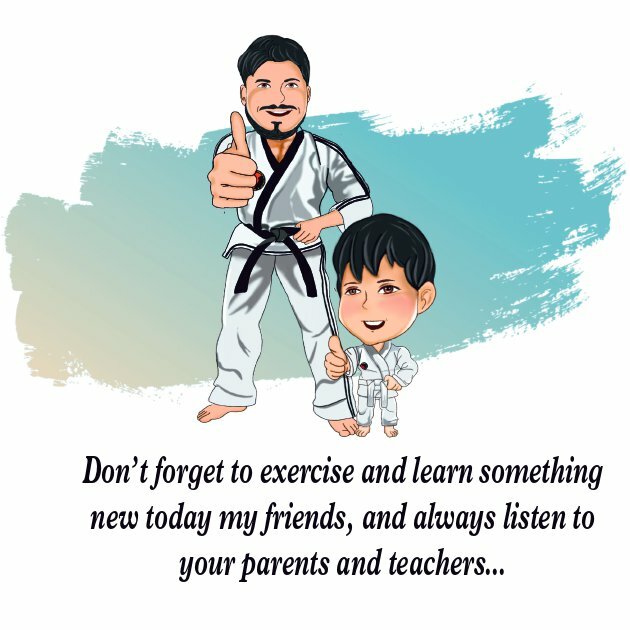 He took an interest in martial arts, and he shares his story about what life lessons he has learned during his first Taekwon-Do session. This story focuses on fitness and self-defense; and the importance of respect and love to oneself, his parents and friends. Landon would like to invite you to come along on his Taekwon-Do journey to black belt. "Would you like to be his Taekwon-Do partner? See you in training my friend... "
I am Victor Teran, author of 'Landon's First Taekwon-Do Lesson'. I am a Marine Corps combat veteran who proudly served eight years in the service. After my military career, I went direct hire with the United States Department of State, as an Agent-in-Charge (Security Protective Specialist) under the Diplomatic Security Service; serving another ten years overseas in high threat. ​I am originally from New York City. Living in Hoboken, New Jersey since June 2013. Presently hold a 7th Degree black belt and operate my martial arts and fitness studio in Jersey City, New Jersey. I was in the process of publishing my adult martial arts book, ‘A beginner's guide to Taekwon-Do”, which took me about 4 years to finish. But then, I had a change of heart and decided to publish my children's book instead. The reason why I decided to publish the children’s book, is simply because I love to see how happy my boy gets, when he knows he is going to see his “KIA” friends on Saturday mornings. He took a lot of interest early on in his life, and now my youngest is taking interest after her big brother. ​I am proud to see how well he has adapted to training. I teach a lot of children and adults. What really brings me joy, is when I see your child do things they never thought they could do. The power of the mind is so AMAZING! I love what I do, and love that I can be a positive role model for my students. When a child starts to do sports or any activity in general at a very young age, it becomes a natural habit. I have this awesome opportunity (Thanks to the parents), to teach and empower their children and see their growth and success throughout their martial arts journey! I look forward to sharing our training and lessons through some awesome storytelling and children illustrations.